If you were faced with showing three teenagers around London for 24 hours what would you do? Well, this task fell on my lap last month and I had a momentary panic. I wanted to showcase the best of the best for the young ones, while also maintaining my status as a cool aunt. 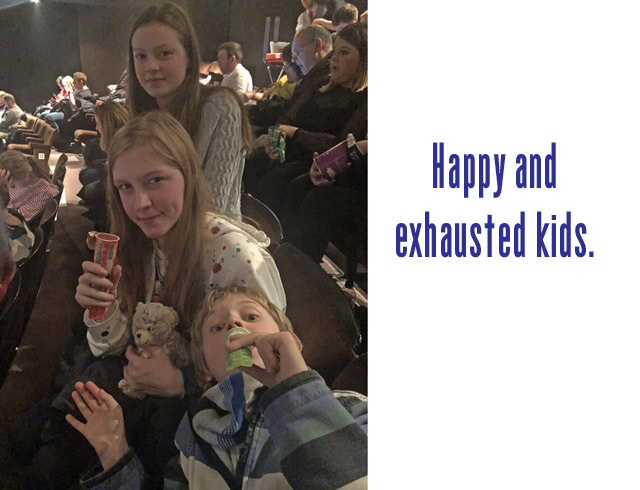 I put my best foot forward and kept track of everything we did to share with the masses, in case this would come in handy with any families travelling to London anytime soon. 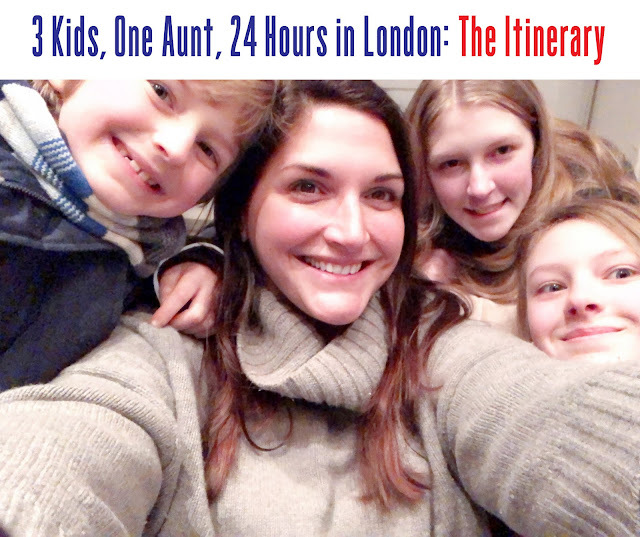 Now it must immediately be said that this was 24 hours with kids that already knew London, so I was trying to do something fun and different. 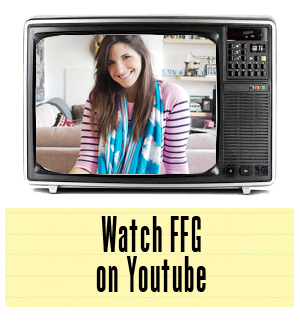 Before we get into the "what we did," here's a little backstory on how we got there. Keep reading. If you've never been to the Electric Cinema, with children or on your own, you are missing out. This is an old cinema on Portobello Road that is filled with old leather club chairs, couches and beds for those wishing to truly lay back and enjoy a film. There are also foot rests, blankets, a bar, nibbles and a candy station. Every weekend they have kids club, which is an early morning showing of a kids film put on for parents to bring kids of all ages to enjoy. The movie that was playing on our Saturday, The Last Unicorn, just happened to be my niece's favourite, so the kids were in heaven. They also loved me because I let them have candy for breakfast, with hot chocolates and yoghurt on the side. 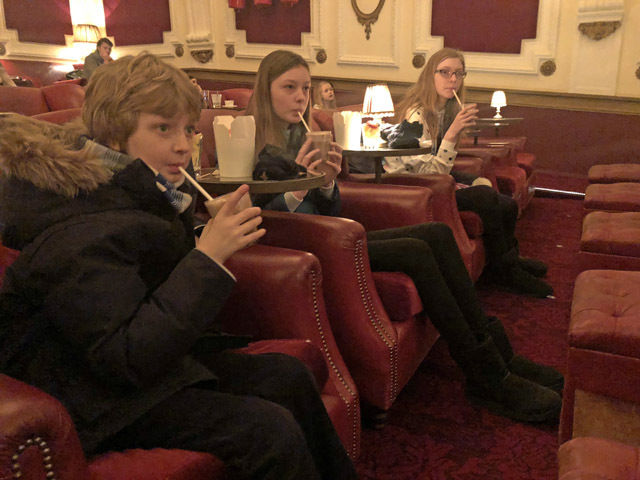 Let's not tell their mother... We sat back, giggled, went on a few different sugar trips and felt like true movie VIPs. 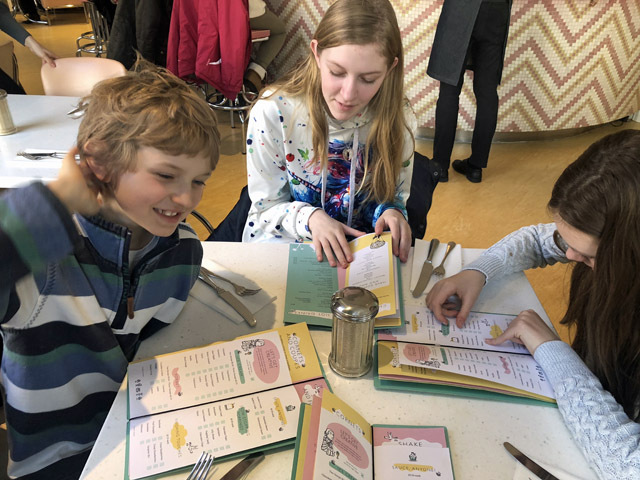 Of course the kids can't exist on candy and hot chocolates along, so our next stop on the cool aunt tour was to Fortnum & Mason's. 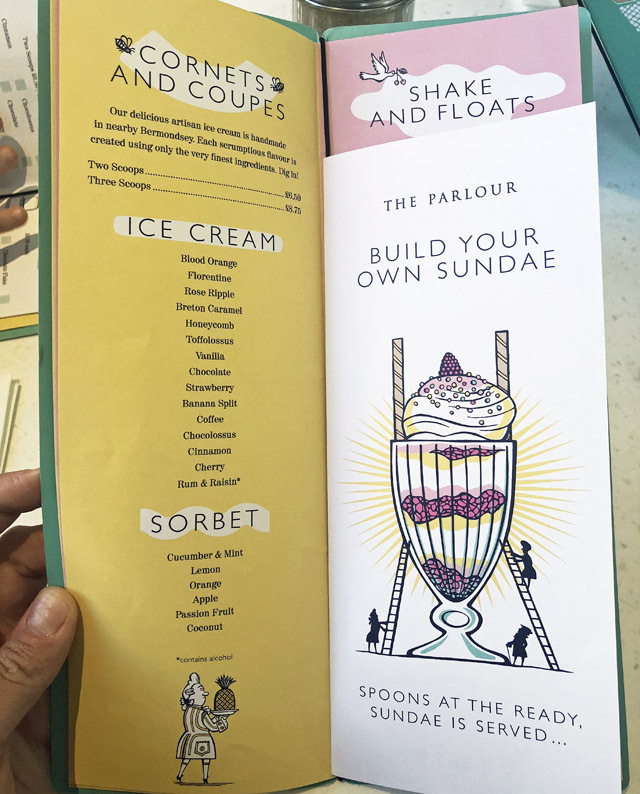 The Parlour is known for their ice cream sundaes, but they also have an amazing breakfast menu, which is served like afternoon tea. We split scrambled eggs and pancakes, with large orange juices and the kids were still hungry. In all honestly, I was expecting this, which is why we were at London's ice cream heaven. Naturally I had to give them the opportunity to design their own sundaes. This look us at least half an hour from start to finish with designing. 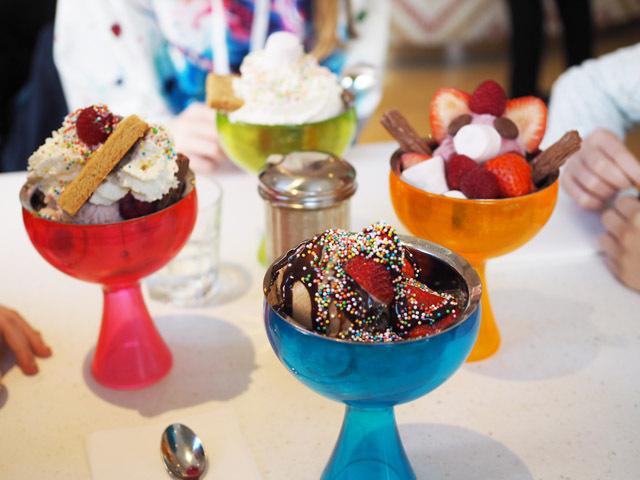 They got to name each sundae, choose flavours, toppings, syrups and more. It became a competition in the end for who could be more creative with both the construction and name. And I tell you what - this was a barrel of laughs. We had a blast. I cannot recommend putting this on your itinerary enough for a sweet treat midday. For me, no kids visit to London is complete without visiting London's biggest toy store. I gave the kids each £20 to spend in the store and we must have run up and down the five escalators at least four times as they each decided how to spend their cash. So we're clear on why I gave them this cash - I told them I was writing a post on their visit to London and that they were models and helpers for me for the weekend and this was their payment for a weekend of "work." In the end they all went for stuffed animals and gave them London names to remember the weekend by. From there we made our way up Oxford Street and into Soho, stopping along the way to take goofy pictures or to pop into various stores. Now I know Yo! 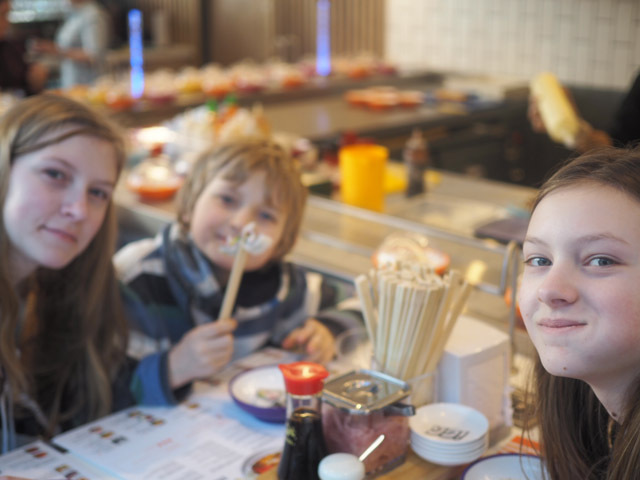 Sushi has been around forever and there may be some eye rolls here as a choice of venue, but kids absolutely love this place. 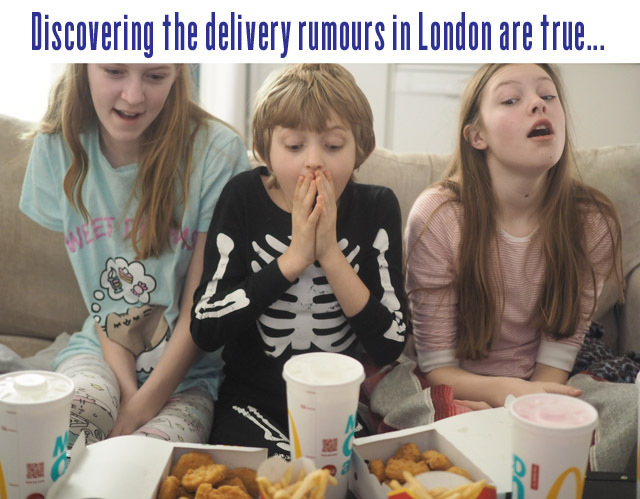 Every single time I had the kids in London, this was their number one request. Giving them control of what they eat as it rolls out on a conveyor belt is in some way magical. It cost me an arm and a leg as these are three growing teenagers that eat like rugby players, but they were in heaven. But, there was one thing I loved most about this lunch. For the first time in a long time, we were all old enough to sit through a meal and just talk about everything - about them moving back to America, about what they want to do when they grow up, about what exactly it is I do for a job. Trust me, that one's always fun. Devon has repeatedly told people his auntie em gets paid to party. Yeah, there's a bit more to it, kiddo. Needless to say, I smiled from ear to ear the entire time we were sitting here. There's wasn't an iphone or an ipad in sight needed to entertain these kids. We only briefly stopped in here as our day was getting away from us. This is absolutely a place that kids and adults of all ages will enjoy. The Transportation Museum in London is a step back in time looking at all the different trains, buses, etc, that Londoners have used to get around throughout time. It's definitely a fun way to inject some history and learning into a trip. So if you can squeeze this in, make it happen. It's worth the trip just to see your kids drive a double decker bus! Warning: They have a killer gift shop at entrance and exit to the museum. We saw many a tantrum being thrown as parents battled with their kids to leave without a purchase. Just putting that out there now so you can mentally prepare. I kept the most special part of the weekend for last. I was giving the kids a proper West End experience with a musical they all could enjoy. Let me just say this... 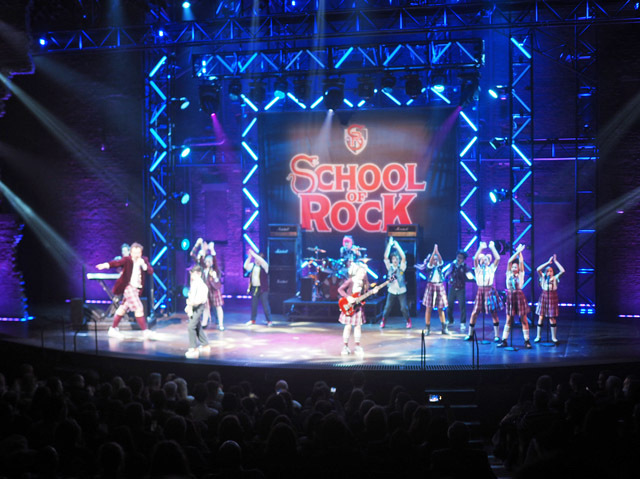 The School of Rock left all four of us speechless. The kids laughed, real belly laughs, and that's all I heard out of them. They were so laser focused on the stage and the absolute talent that was presented. These were kids their age, on stage, acting and playing musical instruments like they had been doing so for twenty years. At intermission, each of my three were detailing all of their favourite parts back to me, in awe of the kids. As the show ended, they clapped along and jumped out of their seats for a standing ovation. The entire ride home all I heard about was how awesome it was and how amazing the songs were and how phenomenal the sets had been. I hit solid gold with adding this to the itinerary. I would say this is definitely for teenagers and adults and I wouldn't go any younger. There are a few moments that are not suitable for the under tens. But, it is definitely one of my favourite musicals that I've seen in London over my fifteen years of theatre going. I seriously can't get over how talented the whole cast was, but in particular the children. So this wasn't planned. I was going to take the kids out for a nice breakfast and a morning of fun around my neighbourhood. Sadly, we got in so late that the kids were exhausted and just wanted PJs, TV and auntie couch time. On Saturday I had been telling them that I get a lot of food delivered because I'm really busy and I rarely have time to cook (you and I both know I'm really just lazy as hell). They didn't believe me that I could have just about anything delivered. So I asked them - if you could have anything delivered, what would it be? Their response? Mcdonalds and Krispy Kreme. Hey, who am I to judge? I'm just the lady trying to indulge these kids in everything they want before I hand them back to their parents. So, our last activity together was stuffing our faces with junk food as we watched Netflix. Yup, just reliving my own teenage years with three of the best teenagers I've ever met. Now, as I write this, the teens have relocated to the USA. I'm looking at these pictures and missing them already. We started our adventure six years ago with a tea party in the country and we ended with Mcdonalds and Netflix. I'm not sure what that says really. Either I'm the worst aunt on the planet or the most relaxed. Either way, I feel like the luckiest lady in the world to have had just a small slot of time watching these kids grow up in England. If you're reading guys, your auntie em misses you terribly!